The first step after any crash is to call 911. Even if it seems like no one has been hurt, it’s best to have medical professionals make that determination. One of the most common injuries after a crash is a concussion, and its symptoms might not be immediately apparent to the untrained eye. Waiting to pursue treatment can worsen some injuries or affect whether they are considered crash-related for liability purposes. Calling 911 will also trigger the arrival of police so that you can file a police report. A police report will offer an objective analysis of what happened—useful not only for insurance purposes, but also if you decide to file a personal injury claim. Your next thought should be toward calling an attorney. 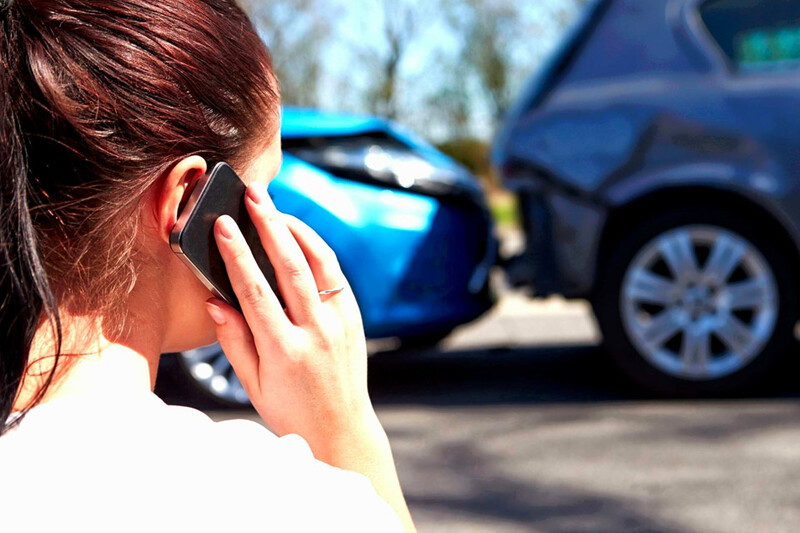 One of the professionals at Pinder Plotkin can help you make sense of everything you need to do after a car accident and decide what your best course of action is. You do need to call your insurance company, and the other driver’s insurance company will likely call you. Speaking to an attorney before talking with any insurance personnel can help you avoid saying something that might negatively affect the outcome of your claim. Some people assume that insurance will simply take care of everything, but insurance companies don’t always have your best interests in mind. They are, after all, businesses, and they will be looking for ways to protect their bottom line. This is not to say that most insurance companies are trying to cheat you, but an attorney can make sure you’re not settling for less than you deserve. Not every crash will result in a lawsuit, but a lawyer is the best person to help you determine if your situation warrants a personal injury case. Exchange car insurance information with the other driver, but be careful not to admit fault or make statements accepting blame for the accident. In fact, it’s usually best not to discuss the details of the crash with the other driver at all, since you might unintentionally reveal details that could be used against you later. It’s also important to take notes and even pictures or video of the scene as long as you’re safely able to do so. While the adrenaline is flowing from the crash, it may seem like the details are engraved in your mind; however, people’s memories tend to fade quickly. This is another great reason to consult with an attorney: a lawyer knows what to look for and what questions to ask to make sure to have all the right information. In addition to recording the scene, you’ll also need to make notes of any injuries and medical diagnoses. It’s important to keep detailed records of all costs and bills, such as bills for your vehicle repairs, records related to medical diagnoses, the cost of lost wages related to your injuries, and more. Your attorney can help you get a fair settlement from the insurance company and can also help determine if you have grounds for a personal injury case. It may not seem pressing to consider this right away, but there are statutes of limitations for filing these cases, and you could forfeit your right to pursue a case at all if you wait too long to file. Insurance companies aren’t known for acting quickly, so if you wait to see what they offer you, you may run out of time. Between your health and the damage to your property, there’s a lot to keep track of after a car accident. An attorney from Pinder Plotkin can help you keep it all organized so you can get back to your life as quickly as possible. For personal injury claims, our contingent fee policy ensures that you will not pay a dime for fees or expenses unless we achieve a financial recovery for you. Please call us today at (410) 661-9440 or fill out our online contact form to receive a free consultation regarding your case. Thanks for pointing out how a car accident lawyer will be able to tell you if your current situation merits a personal injury case. My uncle is still in the hospital after getting in a highway collision. He admits to some degree of fault in the accident, and the other driver feels the same so deciding on the issue can be a bit complicated. I will be sure to advise him that hiring a car accident attorney will help him get a professional perspective into things and help him decide if he needs to pursue a claim. Thank you for pointing out that if I consulted a lawyer before contacting the insurance company will help me avoid saying something that can adversely affect my claim. If that is the case, then my decision to not reach out to my insurance company yet was right. Since I want to get the best settlement out of the case, I will be sure to hire a lawyer first. And if possible, I will hire one who is willing to take the case to trial. My brother collided with another vehicle last night and was gravely injured. It was explained here that it will be best to consult with medical professionals right away and ask the expertise of a lawyer to know the best course of action. Moreover, it’s recommended to hire an experienced car accident lawyer for the best outcome. My cousin recently got into a car accident, and they don’t know what to do. Thank you for all the tips and information about what they can do. I’m glad you mentioned after seeing a doctor that they should consider calling an attorney. I’m glad that they can help her decide what her best course of action would be. My friend was recently involved in a car accident and wants to get the process started but doesn’t really know where to start. You mentioned that speaking to an attorney before talking with any insurance personnel can help you avoid saying something that might negatively affect the outcome of your claim. Do most attorneys speak to the insurance companies for their clients? Hiring an attorney seems like a good first step.